You have heard it again and again: Adapt to a healthy lifestyle. If you make sure to eat well, a plethora of diseases can be prevented or managed. However, there are times when you walk into your doctor’s office, either for a routine check-up or for some sort of ache or pain and you have no choice. You walk out with another prescription, whether it is to help lower your cholesterol, control your blood pressure or fight off an infection. You go to your local pharmacy, fill the script and the pharmacist gives you directions on how to take your meds. Sometimes you are warned to take the meds on an empty stomach or to take them with food. While some people may stick to these directions, others may ignore them. Some may not even be warned. Did you know that many drugs can negatively interact with many of the daily foods you eat? I’m not just talking about one of those uncomfortable side effects such as a headache. There can be severe consequences such as kidney failure, respiratory failure, gastrointestinal bleeding or death. When you consume certain foods at the same time as your medications, it is possible that the foods alter the way the meds work. The foods can either increase the effect of the meds, making it more “bioavailable” and therefore toxic, or decrease their effects. Elderly patients are at increased risk of any negative food-drug interactions since more than 30% of prescription medications are common in this population. While it is more common for the elderly to be at increased risk, those with a compromised immune system are also at a higher risk. If you have cancer, human immunodeficiency virus (HIV), gastrointestinal tract dysfunction, or are a transplant recipient, you should be extra cautious. Since research is constantly evolving, our understanding of food and other health products effects on the medications that we take has improved. The following is a list of common interactions in which scientific studies have shown how foods play a strong role in their effects within your body. 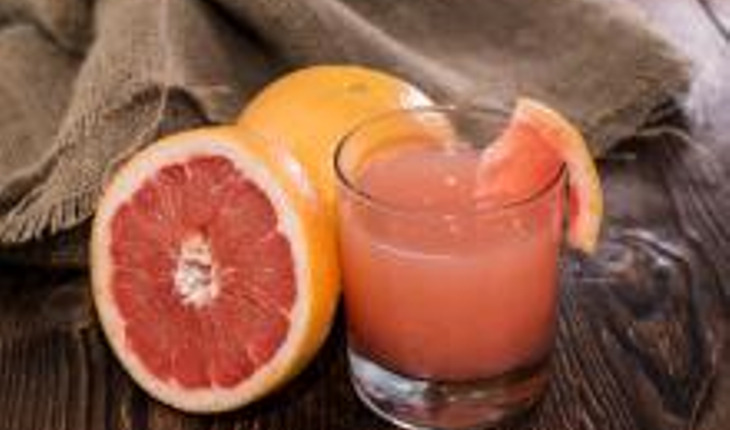 Grapefruit products have been widely studied and in recent years, the number of drugs grapefruit can potentially interact with has jumped up to more than 85. At least 43 of these medications can have serious effects and may even result in death. The most common drugs that grapefruit products have shown to negatively interact with include some cholesterol lowering statins (such as Lipitor), calcium-channel blockers for lowering blood pressure and some antibiotics. A compound found in grapefruit called bergamottin has been shown to inactivate the enzymes used to break down the medications in the liver. Therefore the drug is not properly broken down, allowing excess amounts to be released into the bloodstream leading to toxic and debilitating effects on your health. People think that grapefruit is bad for you instead of understanding that it just has negative effects if you are taking specific meds. This common misperception has had a negative impact on the grapefruit industry; researchers now are working on a method to extract the compound from grapefruit to eliminate this effect (similar to how caffeine has been extracted from decaffeinated coffee). Talk to your pharmacist about whether your medications interact with grapefruit, as this interaction is very specific to individual drugs. Foods rich in vitamin K play a role in blood clotting. If you consume large amounts of foods that are rich in vitamin K, you may cancel out the blood thinning effects of your medications. Foods that are rich in vitamin K include leafy greens such as spinach, kale, Swiss chard, broccoli, Brussels sprouts, cabbage, cauliflower as well as some fruits like avocado and kiwi and soybean oil. Combining these foods can have adverse effects and may even be life-threatening. Your doctor can prescribe another type of blood thinner that does not interact with vitamin K-rich foods; however these medications may be more expensive and are not always covered by your drug insurance plans. Foods containing tyramine such as chocolate, beer, wine, avocado, some aged cheeses and processed meats may play a role in affecting the way these type of antidepressants work. Studies suggest that tyramine may slow down the metabolism of these drugs, leading to a dangerous increase in high blood pressure. While this isn’t a food-drug interaction, it is important to emphasize that alternative therapies also play a strong role in changing the way your body metabolizes medications. Many people fail to mention to their doctors any supplements, natural health products and alternative therapies they may be using; however, these can have dire consequences. St. John’s Wort has been popularized as a treatment for depression and psychiatric disorders and it may be that the doctor is to blame for failing to provide a safe, non-judgmental atmosphere, which prevents their patients from being open and honest about alternative remedy use. St. John’s Wort can dangerously interact with numerous medications including oral contraceptives, blood thinners, chemotherapy medications, HIV medications, statins, immunosuppressants, some antidepressants and some other drugs. St. John’s Wort may actually decrease the concentration made available to your body, which leads to the medications having a decreased effect and failing to treat the syndrome they are intended to treat. Levadopa is the common treatment for people with Parkinson’s disease, as it helps control tremors and allows the person to be mentally and physically fit throughout the day. People with Parkinson’s disease lack dopamine, which is responsible for sending signals from your brain to your body. For example, when writing an email, your brain will signal to your hands to type out the email; however, with a lack of dopamine, these signals are never transmitted and your ability to carry out these physical actions are halted. Levadopa increases the amount of dopamine available in the body to help control your physical actions. Unfortunately, protein competes with Levadopa absorption and protein usually wins. A protein distribution diet is recommended, where you consume minimal amounts of protein earlier in the day along with taking your medications in the morning, and load up on protein during your evening meal and snacks to maximize the effects of the medications. What many people don’t realize is that many foods contain small amounts of protein which can really add up. For instance, a slice of bread may contain a couple grams of protein. With the protein redistribution diet, you would consume 7 to 10 grams of protein during the day and 40 or more grams of protein in the evening. As you can see, it can be quite challenging to minimize your protein intake for the earlier part of the day. However, it can also get quite tricky to determine the amount of medication the doctor should prescribe as well. By taking too much, you’ll be overactive, but too little can leave you paralyzed, with it taking at least 20 minutes for your dose to kick in and stabilize you. It’s not easy to figure out what foods can be consumed while taking certain medications, as well as the timing of such foods. Make sure that you always check with your doctor or pharmacist, and consider speaking with a dietitian in order to determine which foods to avoid, limit or redistribute to optimize the effects of your medications—and keep you at your best.